Bright day in Kensington Market! 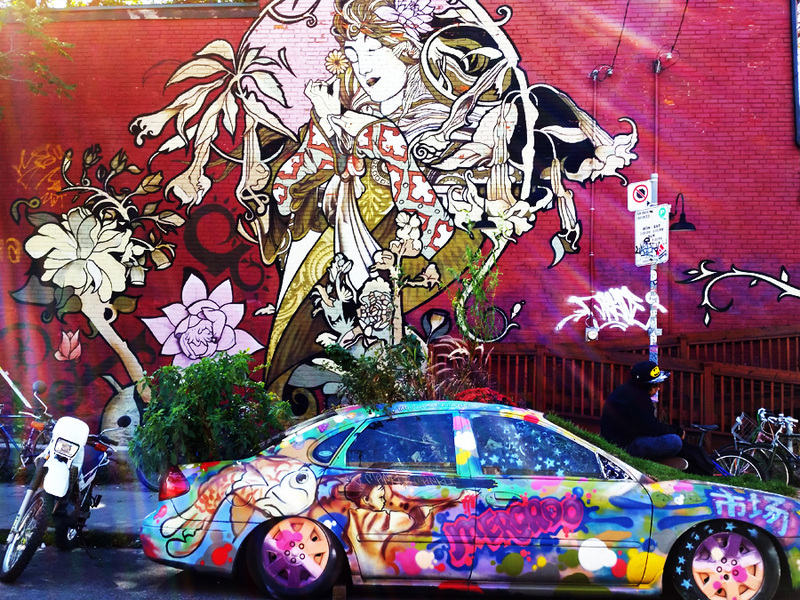 View of the a mural and the infamous garden car. I love the color in this one. Love the amount of color in the picture, it´s definitely perfect for the challenge!